If you're looking for a simple, delicious recipe to make on a cold weeknight, the recipe below is the perfect solution. 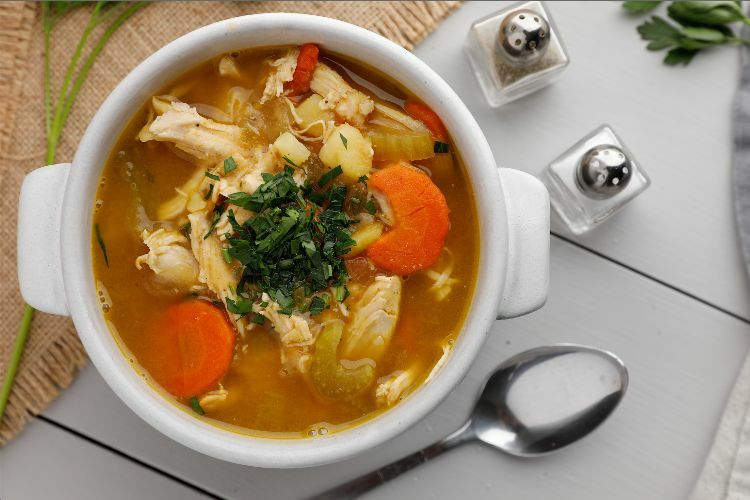 A play on classic chicken noodle, chicken and dumpling, or chicken and rice, this chicken potato soup features tons of tasty vegetables and big chunks of tender potato in a warm, nourishing broth. The secret to getting this soup just right is to sear the chicken breasts before you begin to add lots of rich flavor to the broth and the chicken itself -- plus, it means you won't have to poach the chicken for very long before you can shred it and enjoy. This soup keeps well to enjoy as leftovers. Heat the olive oil in a Dutch oven over medium-high heat. Season the chicken breasts with salt, and place them in the oil. Cook for about 6 minutes per side. Remove from the pan and set aside. Add the onion, celery and carrots to the pan. Stir to bring up the fond at the bottom of the pan, and cook until the onion is tender and begins to brown, about 12-15 minutes. Add the potatoes, chicken broth, bay leaf, thyme and pepper, and stir well to combine. 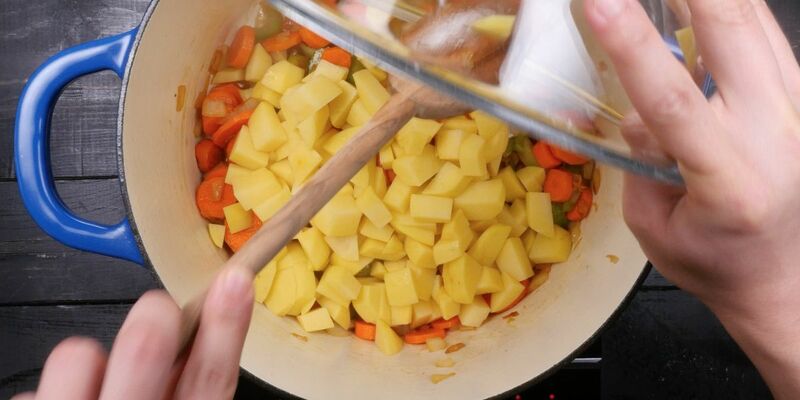 Continue cooking the soup for an additional 20 minutes or until the potatoes are tender. Use two forks to shred the chicken into bite-sized pieces. When the potatoes are completely cooked through, place the chicken into the pot, remove the soup from the heat and serve.